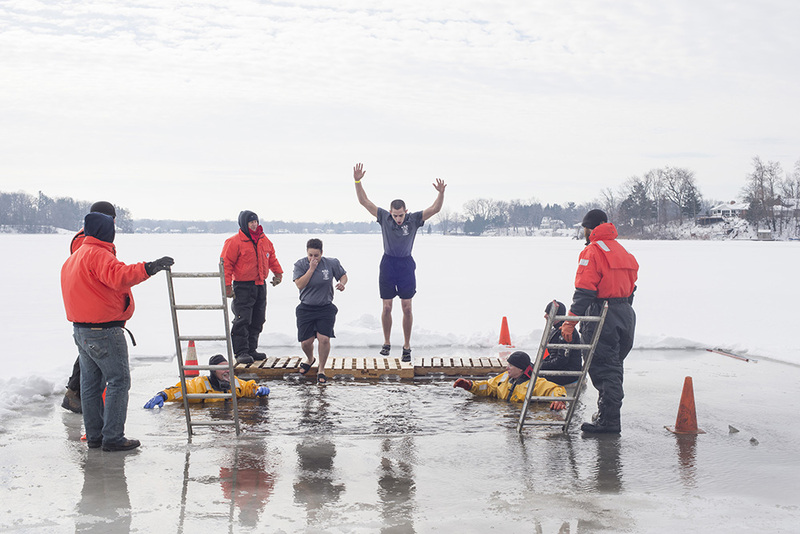 More than a dozen Kellogg Community College students and employees will take the plunge into icy winter waters next month for an event to raise funds for Special Olympics Michigan. The Kalamazoo and Calhoun County Polar Plunge will be held at Bell’s Eccentric Cafe, 355 E. Kalamazoo Ave., Kalamazoo. Registration for teams and individuals jumping during the event will begin at 9:30 a.m. Saturday, Feb. 11, at the cafe, with the plunge beginning at 10:30 a.m. and an After Splash Bash starting immediately after the final plunge. KCC, led by KCC Criminal Justice Director Rob Miller, has fielded a polar plunge team populated in large part by KCC Police Academy students for the past several years, raising nearly $13,000 since 2013. Last year, more than 160 supporters helped KCC’s team raise $4,475. Individuals interested in participating this year can join KCC’s team or support the team by donating to benefit Special Olympics Michigan on its behalf online at www.firstgiving.com/team/337672. The Kalamazoo and Calhoun County Polar Plunge is affiliated with the grassroots Law Enforcement Torch Run, through which law enforcement and corrections officers raise funds for and create awareness of Special Olympics Michigan year round. For more information about KCC’s Police Academy or other Criminal Justice programming at the College, visit www.kellogg.edu/criminal-justice.